You've got a family doctor and a family attorney. But do you have a family real estate professional? Your family's concerns are, no doubt, of utmost importance to you. After all, what's more important than your well-being and the well-being of those you love? When a medical emergency arises, you consult a specialist. When you face a legal issue, you turn to a trusted professional with the experience and skill to handle your needs. It's the same when it comes to real estate. Buying or selling a home is one of the most important steps your family can take. Why trust those crucial decisions to chance? The time to choose a real estate professional is before you need one. That's where Damon Nicholas & The DamonSellsHomes Team can help. They are in the business for the long term, not just for one transaction. Damon and his select teammates have joined together to provide you with optimal service, comprehensive industry knowledge and spirited savvy to save or make thousands or tens of thousands more for their clients in each sale. Damon has been one of Northern Virginia's leading agents for over thirty years, and a relocation and planned community specialist for just as long. In fact, in 2016, 2017 & 2018, Damon was recognized as the #1 Team in Virginia for Coldwell Banker Residential Brokerage. Each year Damon Nicholas and his team are honored by Washingtonian Magazine as the BEST in Washington. And each year they are recognized as one of the top teams in the USA by RealTRENDS. They continue to maintain their 5-Star Zillow rating with each passing year. Honors such as these show that helping clients like your isn't just a job at the end of the day for Damon and his team. It's their joy, honor and privilege. There's no question Damon's wife and children are important to him just as your loved ones are important to you. That's why nobody works harder as a real estate professional than he does. It's simple. He knows his clients, like himself, have the responsibility of providing for their own. It's an attitude that is clearly reflected in Damon's career. When he became a real estate professional in 1985, his commitment to putting clients first took him straight to the top. Through the years, Damon has never lost sight of the fact that real estate is not about properties, it's about people. So when it comes to your most important investment do you think Damon takes pride in getting the best results for you? Does he love the hands on, personal work of helping his clients achieve their buying and selling goals? Count on it! To Damon and his team, being total professionals means handling each transaction the only way they know how---the best way. You benefit not only from their extensive background in business, sales, and marketing, but also from their dedication to helping you achieve your goals. Before you buy or sell your next home, don't you owe it to yourself----and your loved ones---to at least find out how Damon's brand of personal service and extraordinary results can make a difference? Whether you choose to buy or sell a home with Damon Nicholas & The DamonSellsHomes Team as your Realtor®, be assured that they are committed to being readily available to you. You will be kept up-to-date on all showings. You will have an expert help you determine the fair market value of your current home and the one you want to purchase. You will have a Realtor® with the ability to solve routine and unique problems. So, sit back, relax, and enjoy Damon's well-managed process with the least amount of hassle and results that often exceed expectations. Call Damon and his team any time at 703-502-8787, or e-mail them at Damon@DamonSellsHomes.com. They simply want to make sure that you experience the kind of real estate service you deserve---the very best. Contact them today. You will be glad you did! 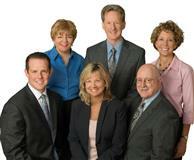 *Each designation is held by at least on Realtor® on our team.